Professional outdoor - adventure recreation educator, backcountry wilderness guide and owner of Tekoa Mountain Outdoors. Located in Williamsburg, Massachusetts. 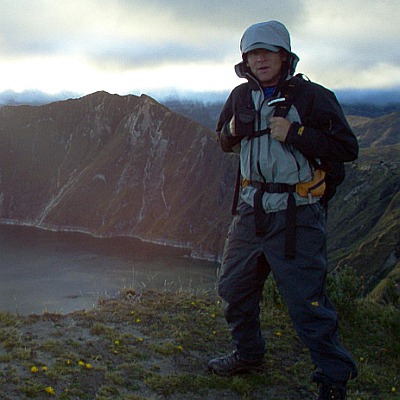 During that time I have done many very interesting things including leading international mountaineering expeditions into the Andes mountains and Paddling the headwaters of the Amazon in Ecuador, South America.﻿ ﻿Worked as a backcountry Ridge Runner on the Appalachian Trail for the Appalachain Mountain Club. An accomplished white water canoe & kayak paddler and New England White Water Downriver Canoe & Kayak Racing Champion, a New York State Licensed Guide, a BSA Ranger. ﻿Master Educator for Leave No Trace. Was acknowledged and participated in helping to write the 3rd Edition Guide Book for the Appalachian Mountain Club, AMC White Water Rivers of New England. Avid hunter, fisherman, trapper and wilderness guide teachs locally in the Northeast, as well as at variety of classroom environments throughout New England, and has plenty of experience abroad as well. Tekoa Mountain Outdoors is an outdoor education business. We are committed to providing fun, safe educational outdoor programs to the public, educating our families about the outdoors and how to use it safely. We engauge the proffesional student/learner hrough our profesional development programs, such as our certificate programs. Teaching our Fresh Water Fishing Class (MA Angler Education) On the East Branch of the Westfield River. Avid outdoors man passionate about the environment, conservation,working & teaching in the outdoors. CPR / CPR for the Professional Rescuer. American Red Cross, Volunteer Instructor. Avid outdoors man passionate about the environment, conservation, working & teaching in the outdoors. Fishing guide & instructor, fly tying instructor..
Looker of bugs and things. Favorite quote: Keep it squatchy. Setting up a climb at Chapel Ledge. Avid Climber, outdoors man passionate about the environment, conservation, working & teaching in the outdoors. Back country & Winter Mountaineering Guide. HAVE A CLASS 5 DAY! Basecamp near Cotopaxi National Park. The best compliment you can give us, is a referral. Please don't keep us a secret.